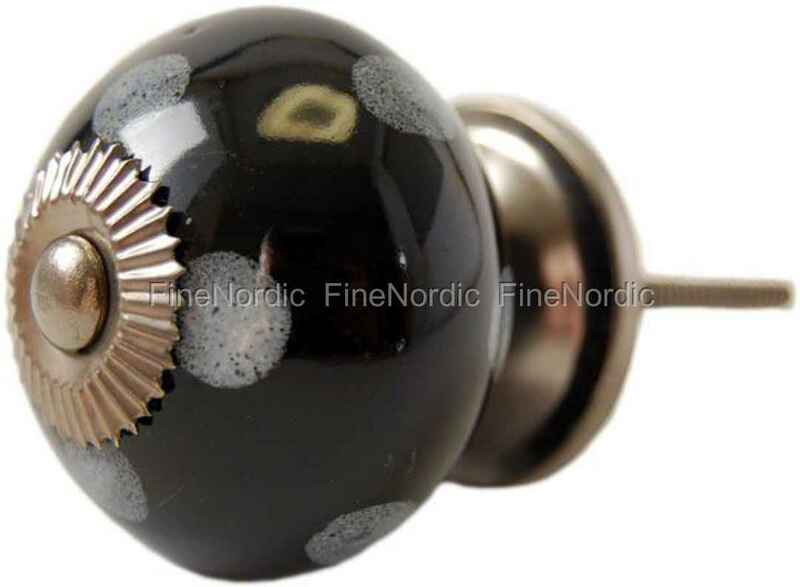 This black La Finesse porcelain knob with white dots will look especially nice on a white or a black piece of furniture. It will also be a wonderful addition to any other monochrome armoire, chest of drawers, dresser and more. The knob has a diameter of 4 cm and will be very helpful when having to open or close a drawer or door. If you want your furniture to look more colorful then also check out the other colored knobs we have available in the same dotted design, because who says that all knobs on a piece of furniture have to be in the same color? Buy the black porcelain knob with white dots from La Finesse for yourself, or for your friend whose kitchen cupboard is in desperate need of some serious pimping up.